When we were kids, we were already taught that hundreds and thousands of people eat very little each day, and the majority of them have nothing to eat at all. This is why our elders told us to always finish everything before leaving the table. But there’s another reason why we shouldn’t waste food. As it turns out, wasting food is bad for the environment, too. Food waste is often overlooked as a crook for climate change. Before they even get to our plates, there are already a lot of greenhouse gas emissions involved in food production. The huge storage units that food companies use, for one, emit carbon dioxide, methane, nitrous oxide, and hydrofluorcarbons. Packaging itself already has a detrimental effect to the environment. I mean, just think of the number of plastics, boxes, and metal cans produced in a day. This even excludes the total amount of carbon emissions involved in shipping, storing, and more. With these in mind, you can barely imagine how much energy and resources are wasted when you decide to waste food. What’s more staggering is that around 33 percent of the Philippines’ total food production goes to waste, according to 2015 reports from the Asia-Pacific Economic Cooperation. Once you throw your food away, they go straight to the landfill—but it doesn’t just end then and there. Studies show that food waste in landfills essentially becomes toxic. When they are trapped in a huge pile of garbage, they’re deprived of oxygen, which is an important component for food to naturally decompose. And without oxygen, food waste releases methane—a greenhouse gas that is 20 times more harmful to the atmosphere than carbon dioxide. 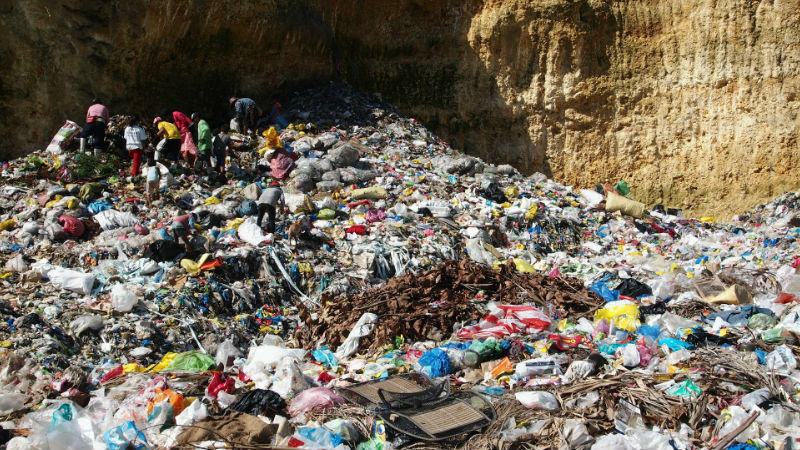 When it rains, landfills also become a source for groundwater pollution. The groundwater allows toxic chemicals such as ammonia to develop and this could be a major problem when they reach lakes, rivers, and other bodies of water. But wasted food doesn’t have to always end up badly. Good news is that they can actually be composted, meaning that wasted food can be reused as fertilizers. Try bokashi composting, a process of fermentation that quickly converts food waste in an air-free environment into compost. Some shops such as ELMNTM has a special bokashi composting kit for sale, so you could do it yourself at home. You can also help local farmers by buying surplus crops from them instead before they go to waste. But essentially, the best way to keep food away from the landfill is to be mindful of the amount of food that you purchase. Here are some tips to consider: Don’t go to the market when you’re hungry, or you could keep a list of food essentials (and stick to it) to avoid overbuying. Instead of penalizing farmers, why not provide drying facilities?